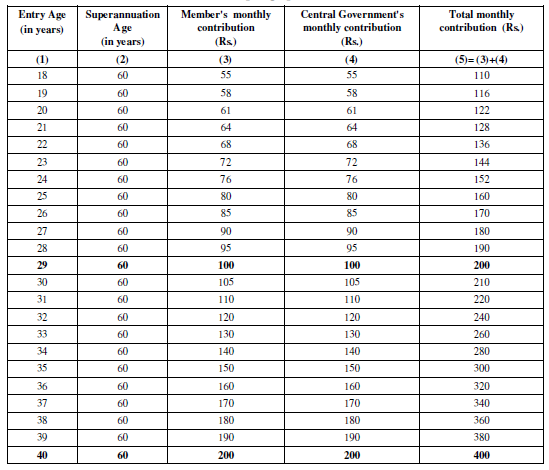 Contribution by the Government – The central government will also contribute similar amount in the pension account. Age Limit – Any interested applicant from the unorganized sector or organized sector labor, who has attained the age of 18 years will be able to deposit money in the scheme till 60 years. The upper age limit for this scheme is 40 years. Total Beneficiary – It is expected that around 10 Crore people from the unorganized sector will get benefited from this scheme. 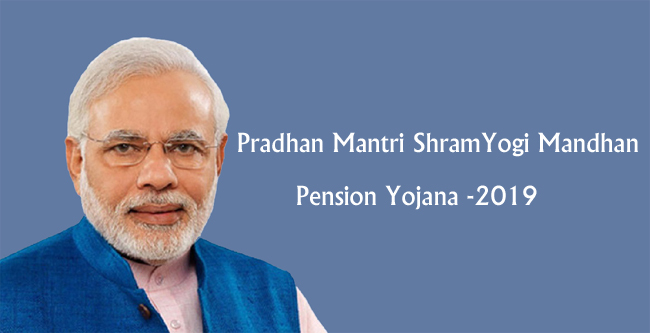 Anyone who is already covered by the government under pension scheme will not be eligible for the scheme. Professional condition – This Scheme shall apply to the unorganised workers who are working or engaged as home- based workers, street vendors, mid-day meal workers, head loaders, brick kiln workers, cobblers, rag pickers, domestic workers, washer men, rickshaw pullers, landless labourers, own account workers, agricultural workers, construction workers, beedi workers, handloom workers, leather workers, audio- visual workers and similar other occupations. Age – Applicant should be 18 years old or above. The maximum age limit for entry in the scheme is 40 years.Applicants will have to submit copies of their age certificated to support the claims. In addition to age-proof, identity proof is also required to participate in this scheme. Other Condition – A worker will not be eligible if he/she is already a member of other pension schemes – National Pension Scheme (NPS) where contribution is also made by the Central Government or Employee State Insurance Corporation Scheme or Employee Provident Fund or he is an income tax assessee. Nomination Pension – During the years when pension is received by subscriber, if he/she dies, then spouse shall be eligible to receive 50 per cent of the pension received by the subscriber. Children of the subscriber will not be allowed to receive any pension benefit after his/her death. Death Condition – If the eligible subscriber dies due to any cause, then the spouse shall have an option to continue the scheme by making regular contribution or exit the scheme by receiving share of contribution paid by the subscriber along with accumulated interest or savings bank interest rate, whichever is higher.